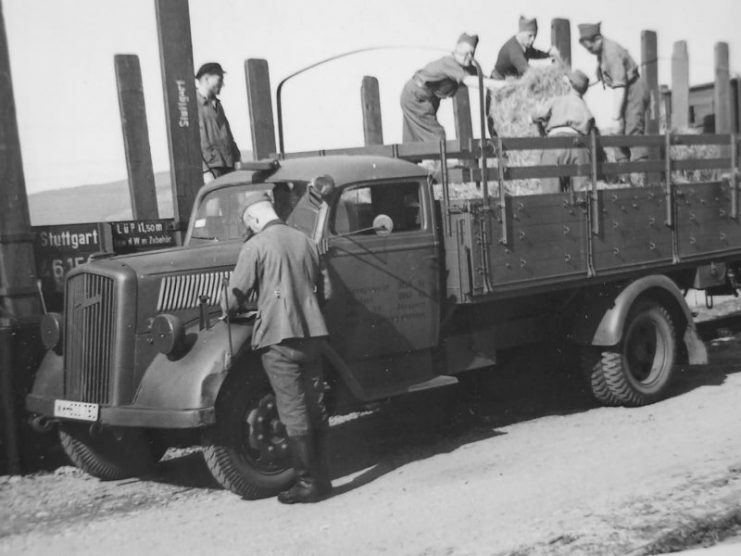 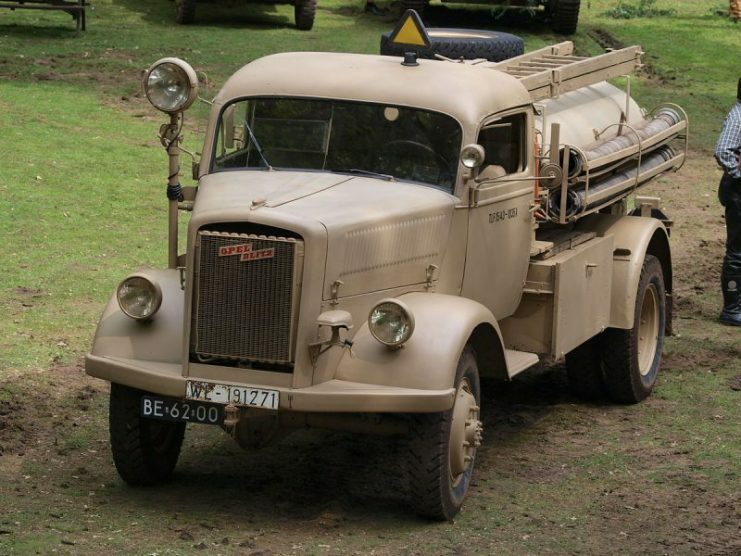 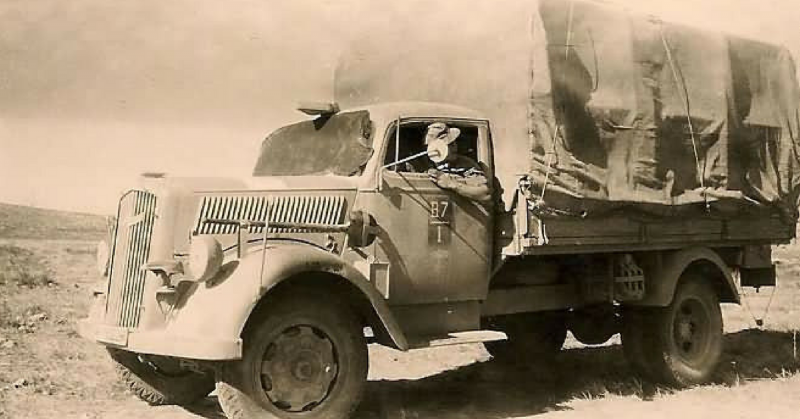 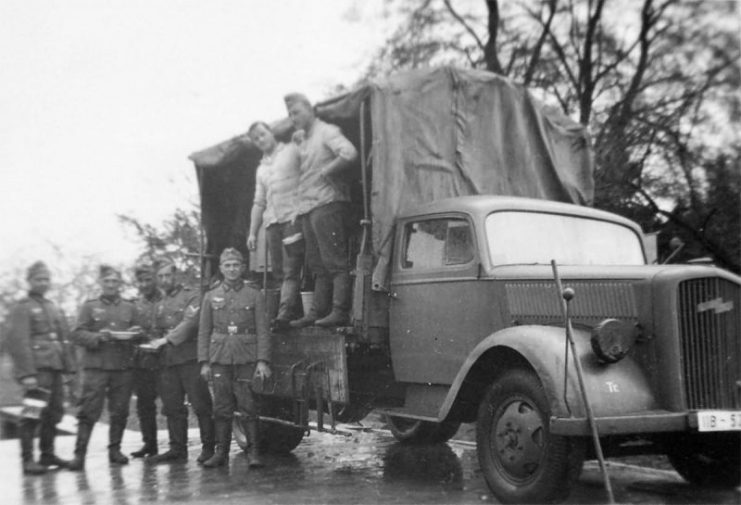 Serving as the backbone of Wehrmacht’s and Waffen SS’ motorized corps, the Opel Blitz truck was involved in the transport of pretty much anything during WWII ― from soldiers to ammunition, from towing artillery pieces to delivering supplies. 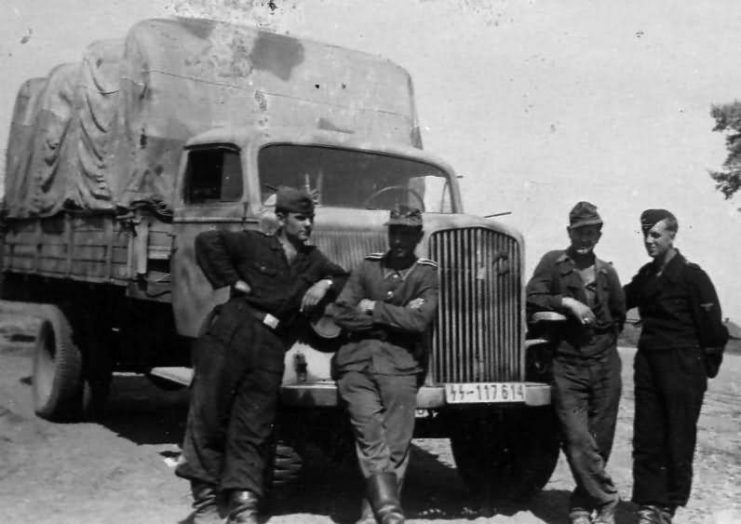 Since the 1930s, Opel had been the largest manufacturer of trucks in Germany, but in 1934, one year after Hitler took office, their production numbers rose rapidly due to the German re-armament plan. 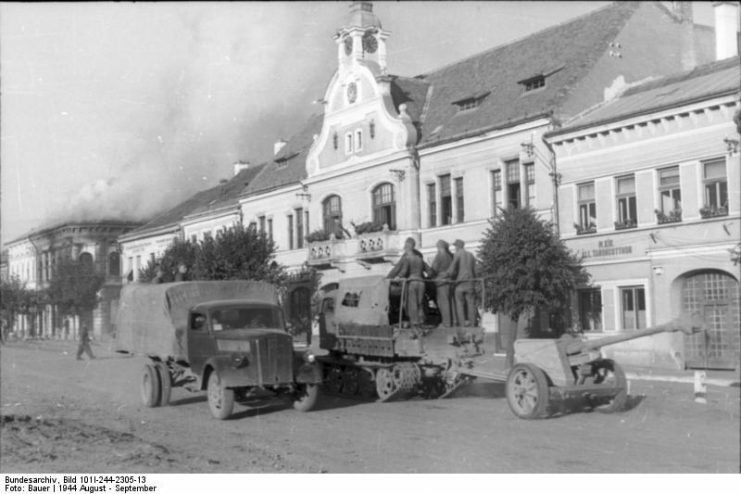 New facilities were built in Brandenburg, leading to the production of the Blitz 3.6 three-ton version, which soon became the trademark of the Wehrmacht. 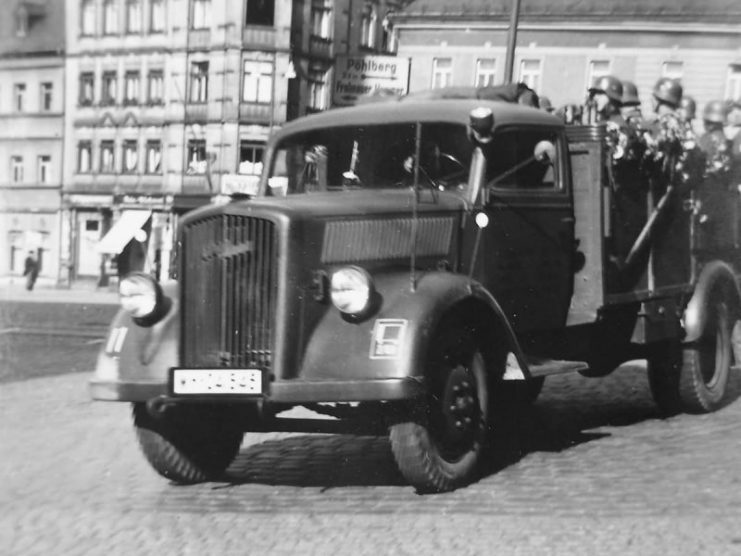 It was the truck that put the Blitz into Blitzkrieg, as its mass production led to wide use during the swift invasions of Poland, and subsequently other European countries. 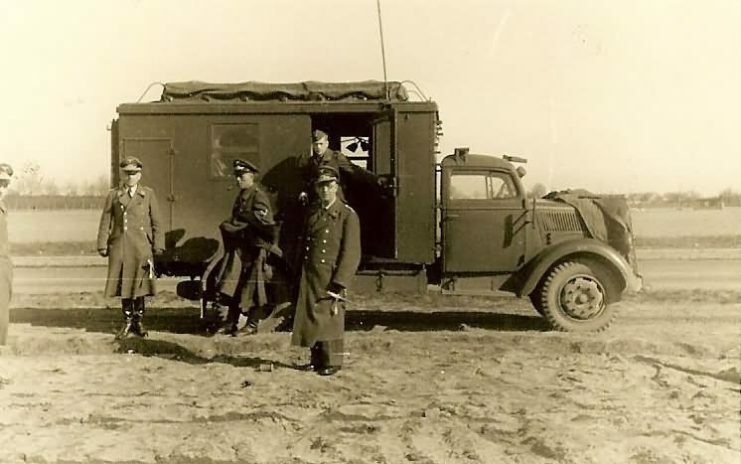 From Blitz 3.6 came variants such as the four-wheel-drive Blitz A and the half-track version called Maultier (meaning “the mule”) SdKfz 3 v, designed specially to tackle the mud seasons on the Eastern Front which often left the roads completely useless. 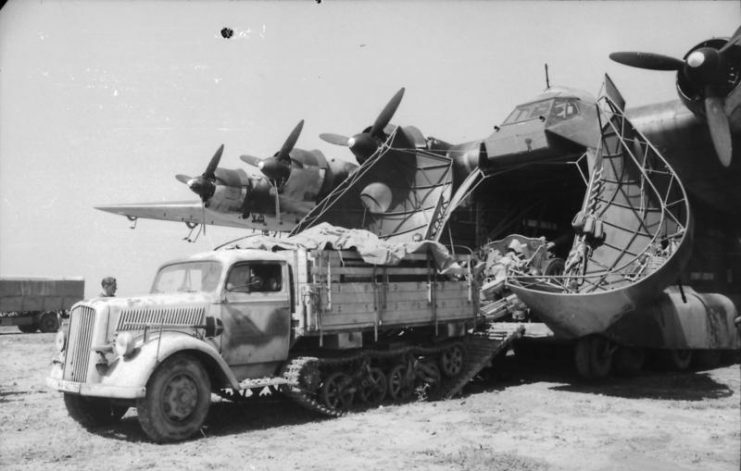 The Maultier also became the service vehicle for the Messerschmitt Me 323 military transport aircraft, nicknamed The Giant, as it was the largest land-based transport aircraft of the war. 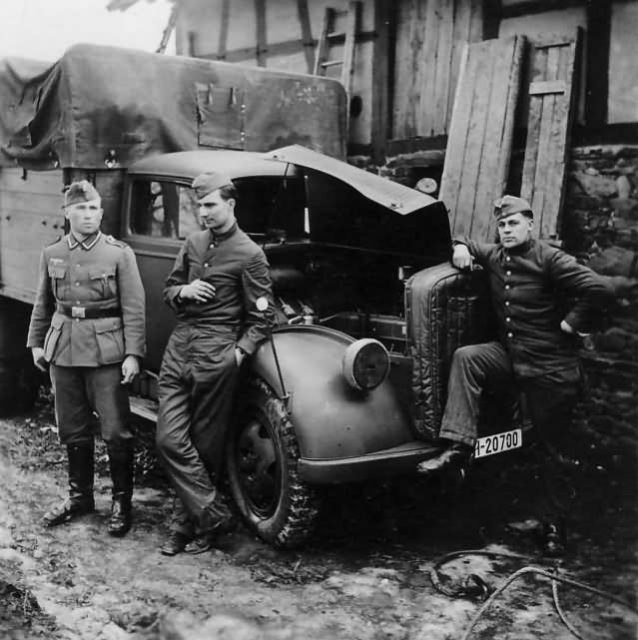 During the war, controversy arose in the United States due to the fact that Opel was formed as a General Motors subsidiary. 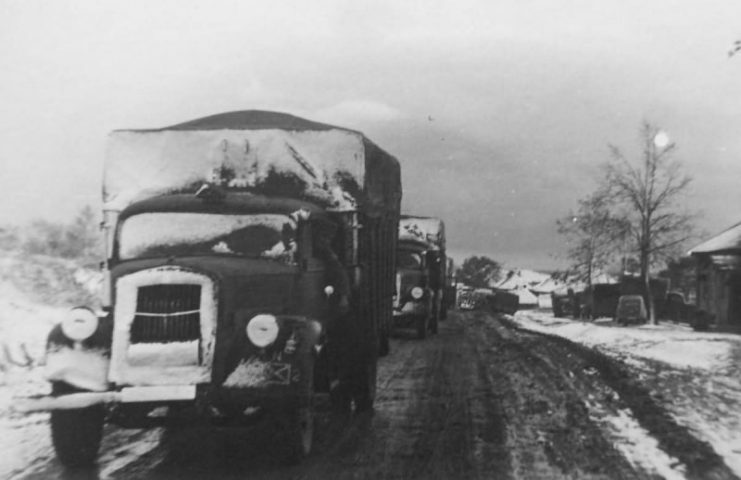 Since there were reasons to believe that Opel was using forced labor, GM’s role became a subject of debate, as it was unclear to what extent the American company had control over its subsidiary during the war. 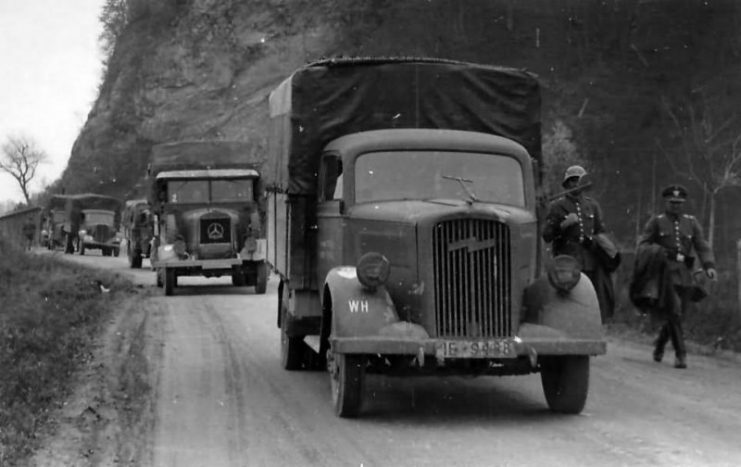 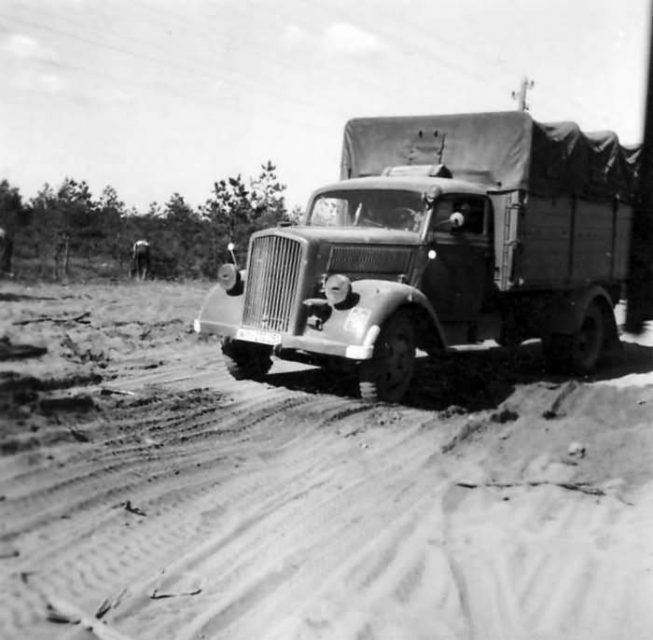 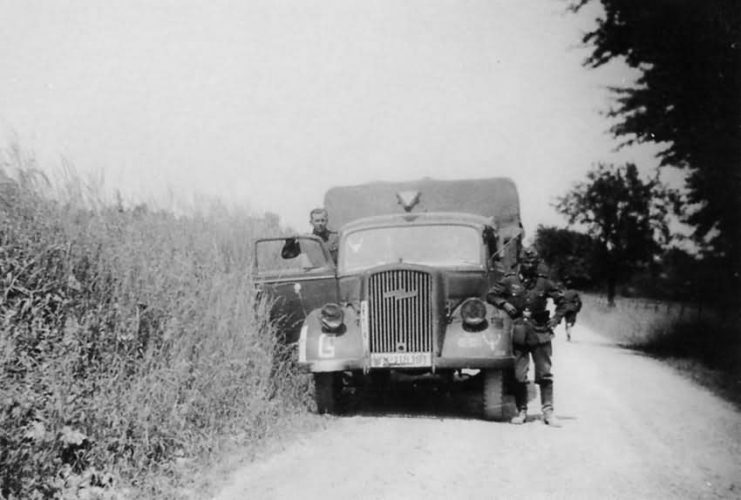 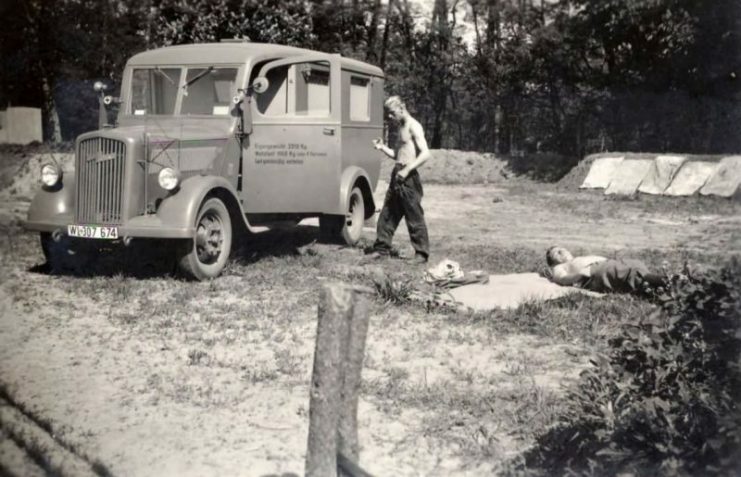 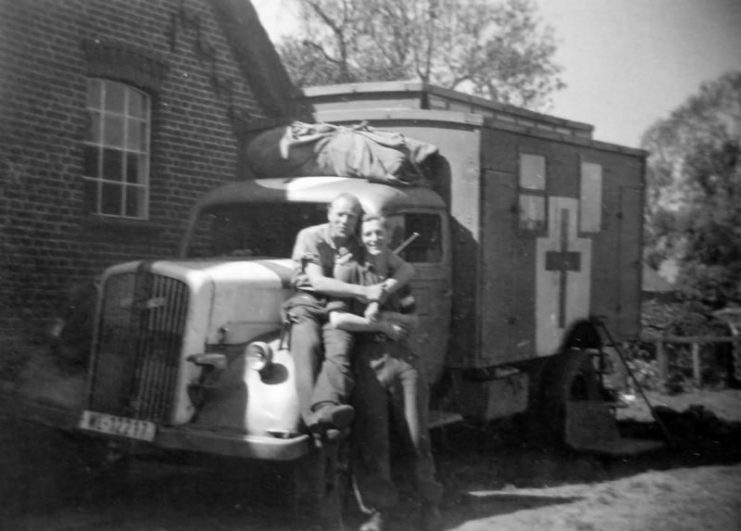 On the other hand, once the German army started retreating due to rapid Allied advances on both fronts, and leaving broken hardware behind, the trucks were easily put to use again, as American spare parts fitted the Opel Blitz trucks made under license from General Motors. 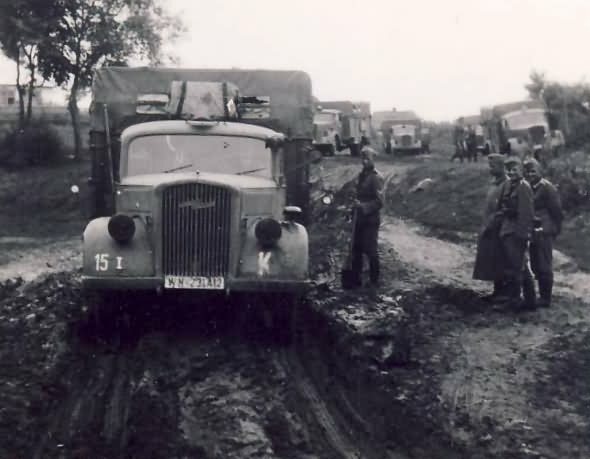 Although more than 130,000 Blitz trucks and chassis were produced in a period between 1935 and 1944 in the Brandenburg department of Opel, an RAF raid conducted in August 1944 put an end to the factory. 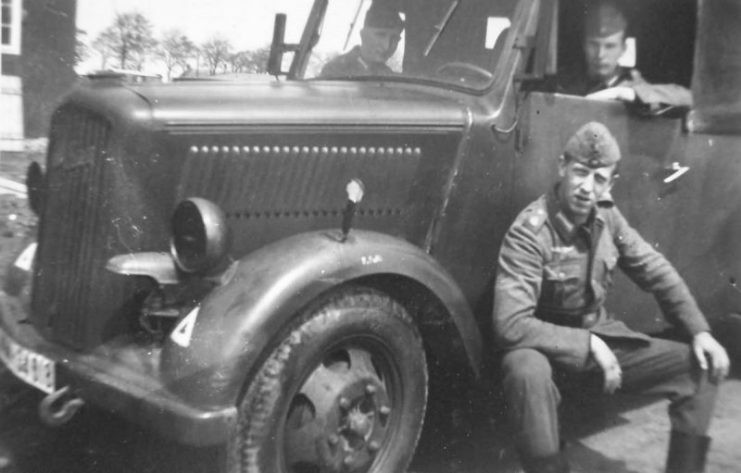 Attempts were made to resume production but with little success, as defeat became more and more imminent. 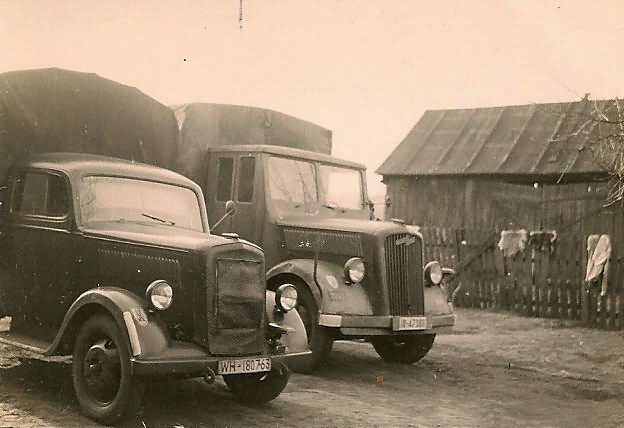 After the war, however, Opel― besides from producing cars ― continued to operate as a successful truck manufacturer under the license of General Motors. 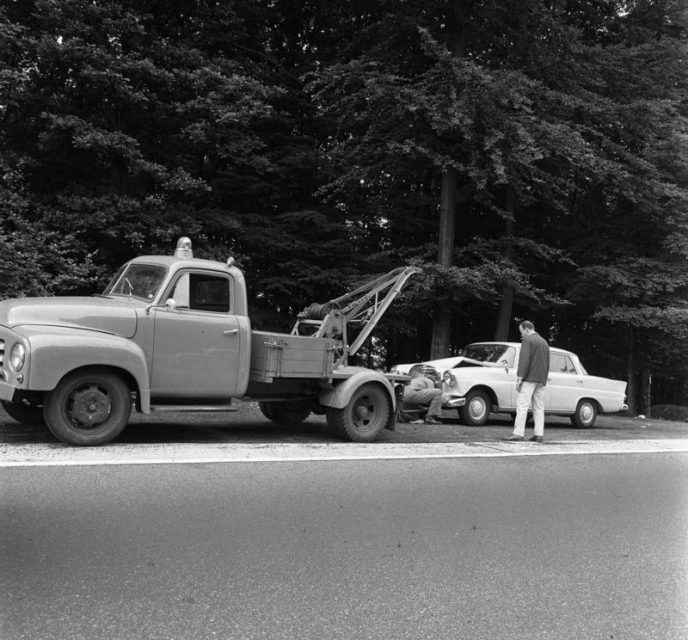 But in 1968, the company suffered a huge blow from its long-term rival, Mercedes-Benz, whose popular T2 model pushed it from the market. 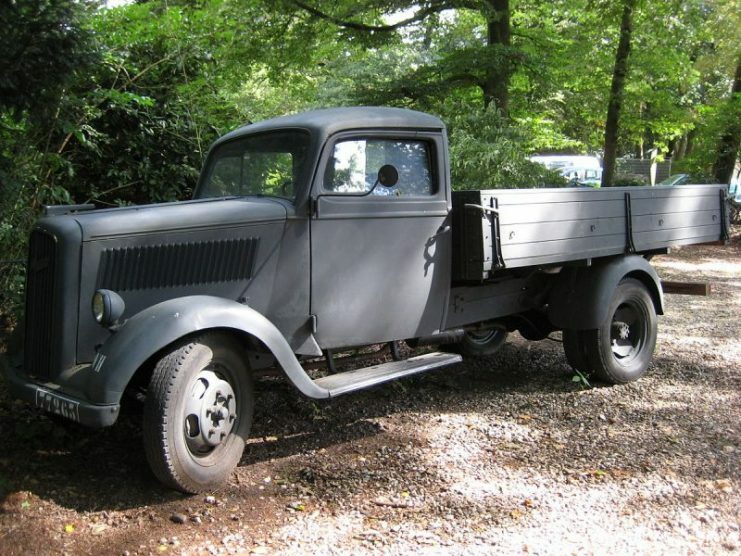 In 1975, Opel ceased production of commercial trucks.